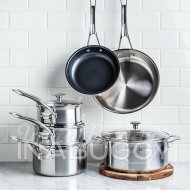 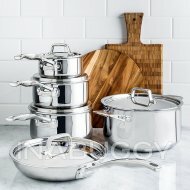 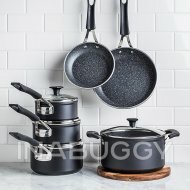 The Cuisinart Advantage Non-Stick Cookware Set will help you perform all your cooking tasks for years to come. 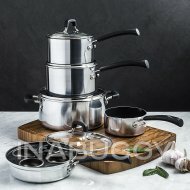 Simmer, saute, fry, boil or braise to your hearts content! 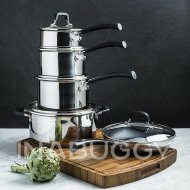 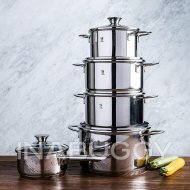 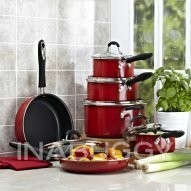 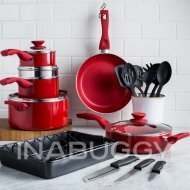 Aluminum core, non-stick cooking surface and silicone handles make this the perfect choice for your kitchen.